Salerm Silk Touch - All the things that make your hair look dry, brittle and limp can be quickly resolved thanks to this treatment that repairs the hair's internal damage. Its formula acts directly on the hair cuticle, correcting porosity and repairing damage to leave the hair bouncy and manageable. Pressed cotton seed oil: rich in lipid molecules that are similar to the hair’s own natural lubricants. 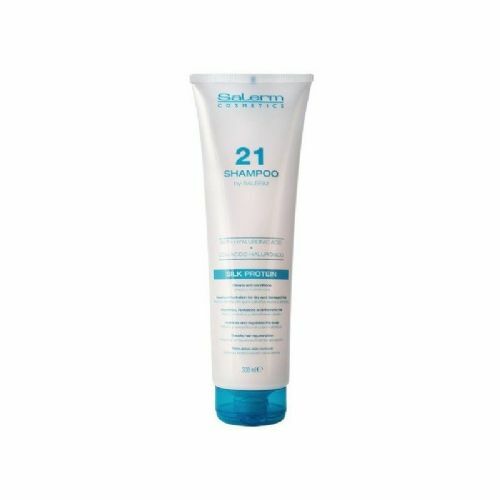 Protects the hair fiber and particularly its outer structure from the damaging effects of the sun’s rays. Aromatic, citric top notes that open out into floral middle notes with a musk base. Rub a small amount of the product between the palms of your hands then gently massage into the hair and scalp. Do not rinse.